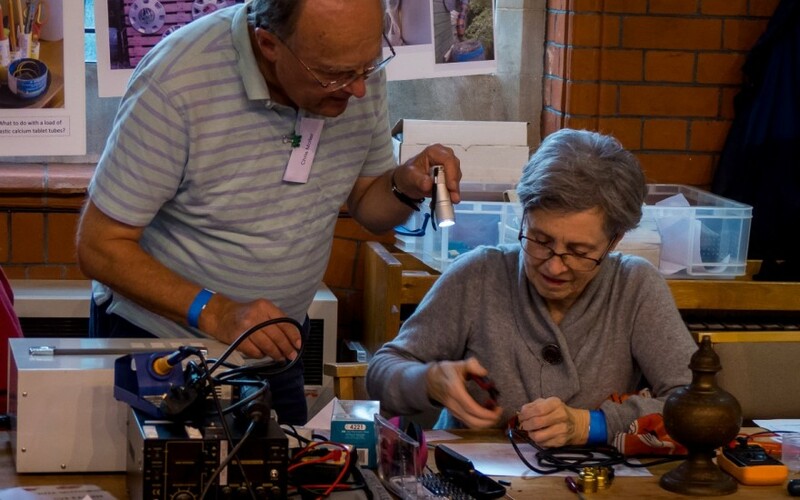 Back on November 11th we attempted to hold the World’s Biggest Repair Café, a title which required beating the then current record holder’s 150 repairs. Needless to say, at 232 successful repairs, we completely smashed it. 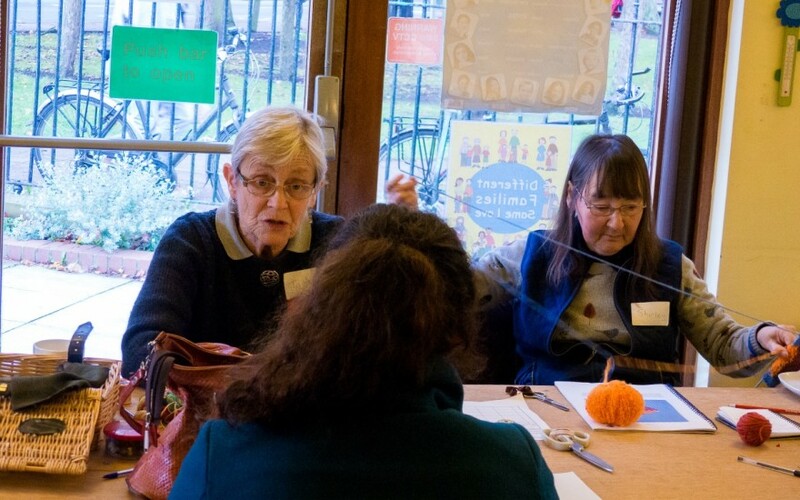 Feedback indicates that not only did people get their items repaired, but that they learnt a lot and were blown away by the friendliness of the event. 105 people made the day happen (46 repairers and 59 volunteers, stallholders and speakers) and altogether over 550 people took part. 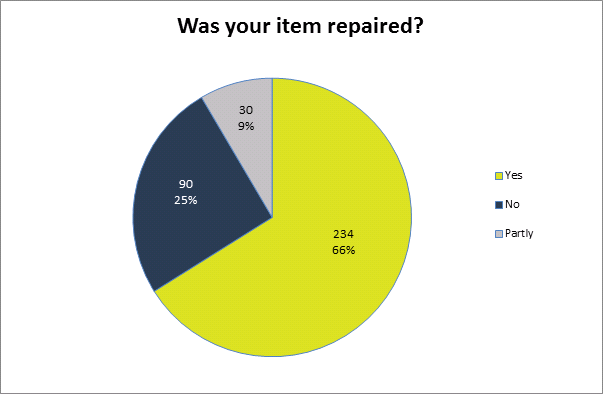 Combined with the 375 items bought in overall (giving us a successful repair rate of 66%), the event was lively and participants diverse. "Wonderful, such a positive idea. I learnt something new and met new people." 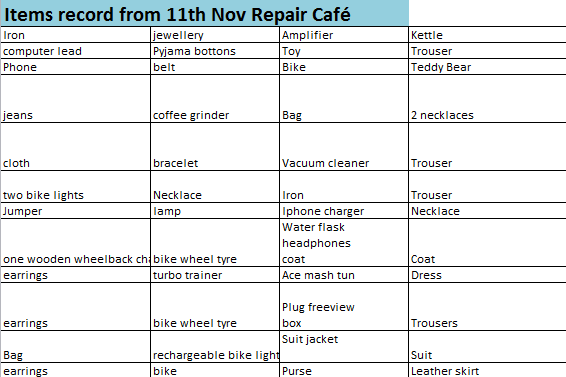 A variety of items were repaired, from lightsabers, phones, and pottery garden fairies, to the more mundane such as bikes, clothing, and small household electricals. 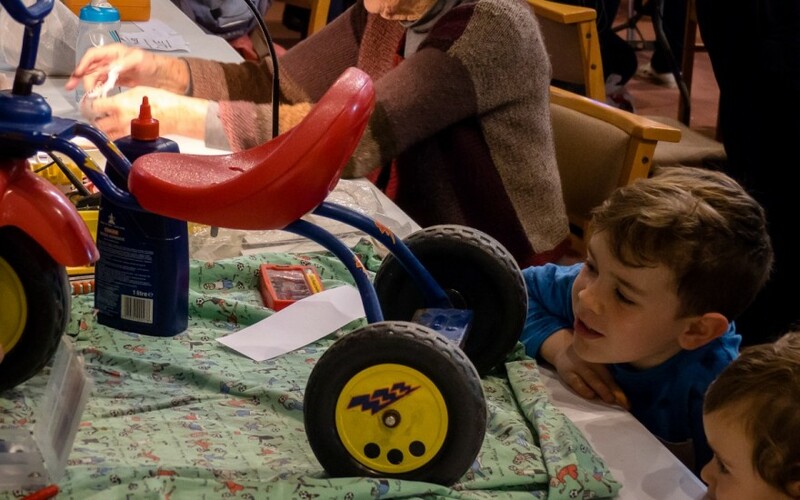 What was important for us and the repairers’ volunteering is it didn’t matter what you brought in, but that the life of the objects could be extended rather than being replaced. Tara Button, founder of Buy me Once and present on the day, had this to say on the matter. "People don't realise it is one of the easiest things you can do for the environment, so if you can make a T-shirt last two years instead of one year, you save about 24% on your carbon emissions, so if you do that with all the things you buy imagine the impact that has on the world." On the day we were happy to see lots of electronic items, many of which have high levels of carbon emissions associated with their production. Globally electronic waste hit a record high in 2014 with an astonishing 42 million tonnes dumped in one year. Per capita Britain is one of the top five nations creating electronic waste, with the average Briton dumping 23.5kg of e-waste each year. "Absolutely delighted, as I did the lamp repair myself (under tuition of course!)." "It was very enjoyable to talk to Haline as well as watching her work. See/learn how it's done." "Chris Moller has been wonderful in sharing his know-how and encouraging me to attempt repair on my own." 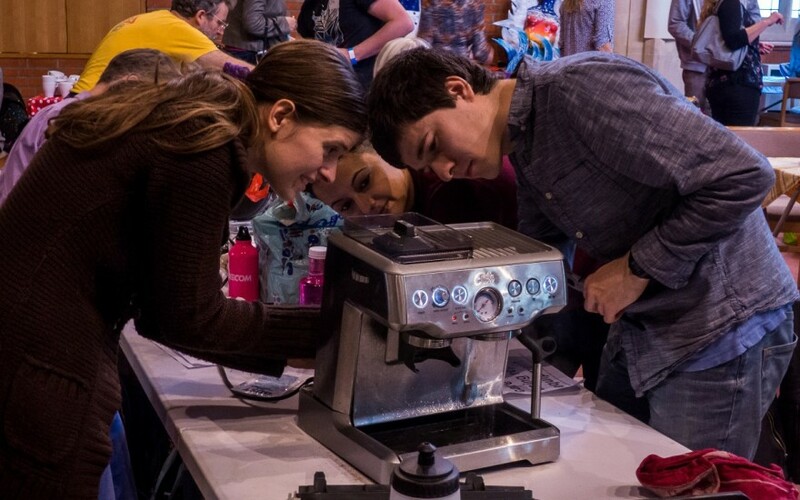 Repair cafes are great community building events. 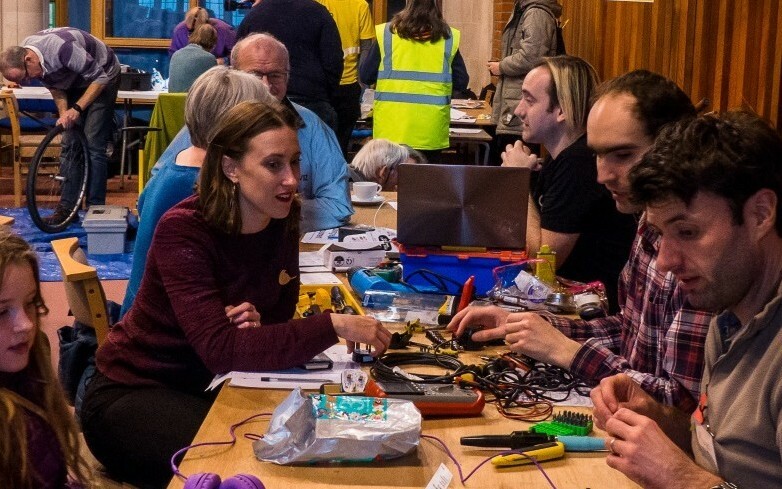 The World’s Biggest Repair Café was just one of many smaller cafes held on a regular basis by communities and villages around Cambridgeshire. 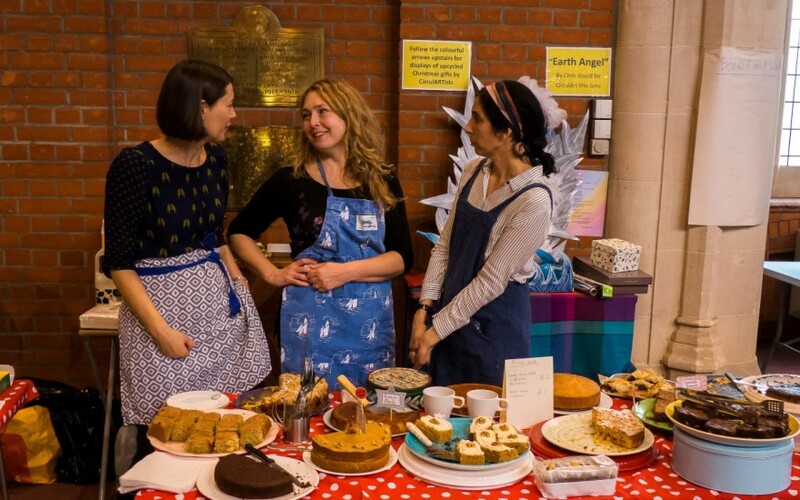 While repairing the items bought in is one way to tackle waste, sharing repair skills with those visiting and enabling them to have a go at it themselves (over some tea and cake of course, repair cafes aren't all about the repair after all) is better still. 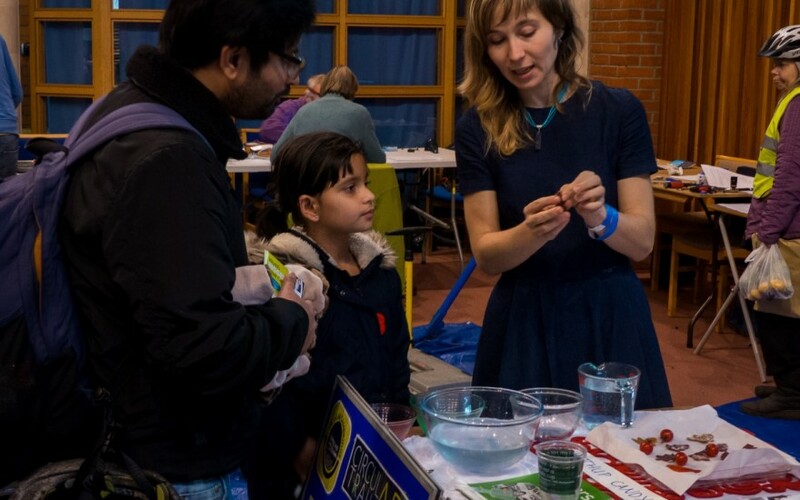 We find visitors enjoy the opportunity to learn something new and have a conversation with someone from their community that they haven't met before. Thanks to everyone that was involved, and particular thanks to our funders including Cambridge City Council, Draper Tools, Mckays of Cambridge, and all those who donated on the day. We always want to get the message out to everyone and are thankful to Anglia TV and That's TV Cambridge who shot some nice pieces that were broadcast on the Monday and Tuesday evening following the event. The Cambridge News featured it online and the Cambridge Independent carried one article and one related opinion piece on a more sustainable Christmas. Most of the coverage is available online on the Circular Cambridge website, on the 'In the media' section.